Sony’s Jim Ryan has put his foot in his mouth a lot over the last week, but he’s been doing a good job of late. Earlier today, we reported on his comments about the Nintendo Switch, which were surprisingly sensible and even headed. His comments about the Switch in another interview, this time with GamesIndustry.biz, continue being positive on the system, also noting that Nintendo being strong is good for PlayStation. That’s a reasonably sensible and business minded way of looking at things. 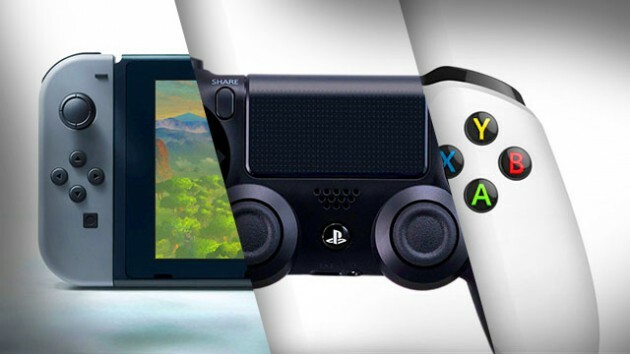 But the Switch is not the only competition that the PS4 faces- the Xbox One also is, and with the impending launch of the Xbox One X, the PS4 Pro, Sony’s own upgraded PS4, will become extremely important to their plans. It will be interesting to see how this Holiday season plays out with the Switch, PS4 Pro, and the Xbox One X, that is for sure.